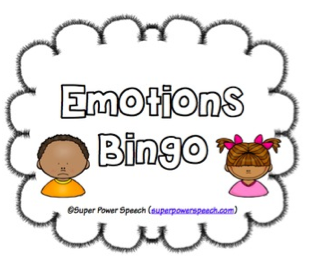 Not only are Emotions a GREAT thing to work on for students with social skills goals, they are also perfect for kids working on descriptive language skills!! And the best way to learn them is in a game! Head here to check out how you can get free Emotions Bingo game with several different sets of calling cards.